When compared to standard airknives, JetPlates deliver twice the volume of high pressure air over product. The design of the JetPlates allows for the blower-driven air to be delivered withing 3mm of the product. This is because the faceplate acts as the conveyor guide rail. 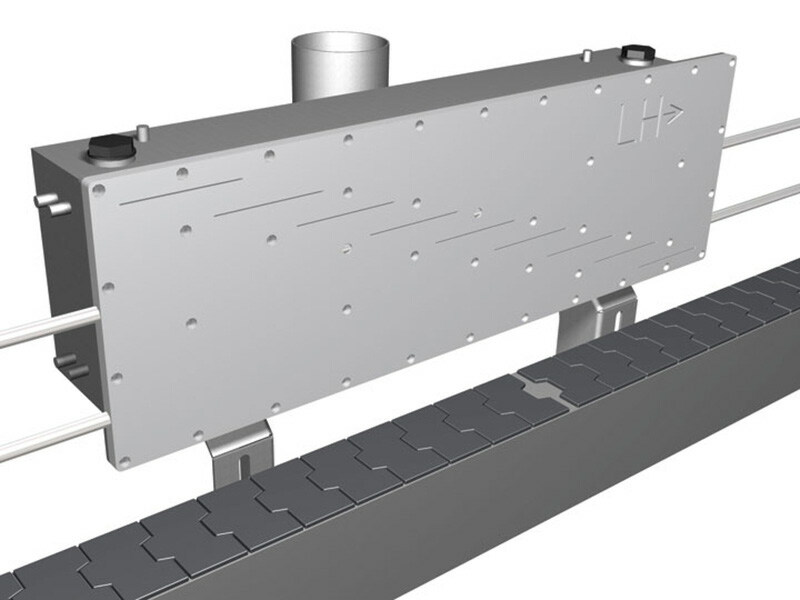 The slot design incorporated into the JetPlates enables all moisture to be directed downwards and away from the conveyor line, thereby preventing any recontamination. The installation of JetPlates simplifies installation, maintenance and operation processes. The JetPlate design requires no pitch adjustment to achieve optimum drying performance. JetPlates are available with a number of slot designs and plenum sizes. 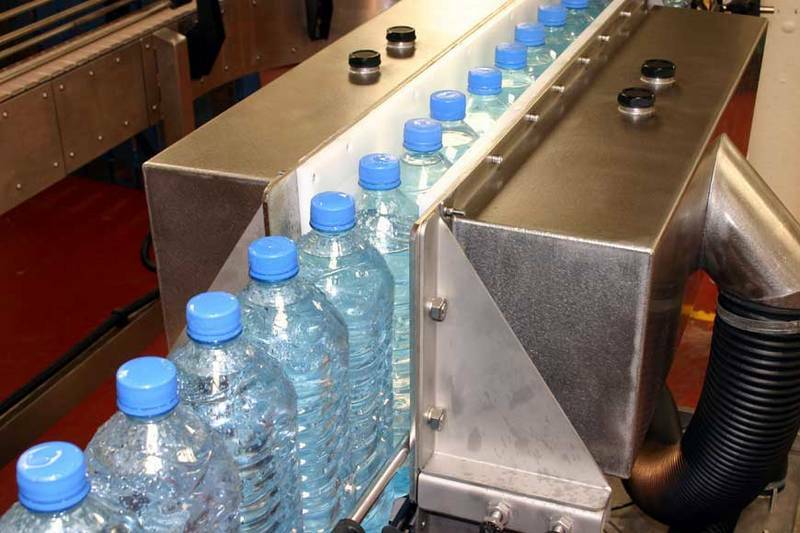 These are completely dependent on factors such as the bottle shape and size, speed of the line and the nature of the label type being applied. JetPlates can also be used in conjunction with airknives and/or cap and neck dryers. This configuration will again be determined by factors dictated by the application.